My morning was what you would call ‘less than stellar’. Besides my neighbour’s car alarm going off intermittently throughout the night and keeping me awake, I’d also found that my bike lock was broken and my bike stolen. And it was raining—again. As I walked down the street with a figurative and literal raincloud over my head, I rounded the corner to find a young woman with her cute little dog both beaming at me. As I stooped to pet the little canine, I felt the fake grin that I had plastered on my face relax and I started to feel more natural. I also began to feel much better about the day ahead. What just happened? A scientist at heart, I wanted to look more into this phenomenon. It turns out that when you smile, you are actually causing a chemical reaction in your brain that makes you feel happier. 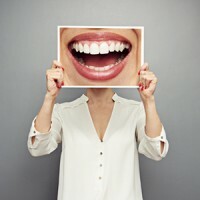 Charles Darwin was one to declare this body-brain relationship in 1872 when he wrote: “The free expression by outward signs of an emotion intensified it.” Scientists have now confirmed this hypothesis: when you smile, you release chemicals that cause you to feel happy, such as dopamine (relaxer), endorphins (pain reliever), and serotonin (anti-depressant). Hogwash, you say? If you don’t believe me, try it right now. For the next ten seconds, paste a big smile on your face. How do you feel? I just did it, and while I felt a little foolish giving my computer a big toothy grin, I have to admit that it felt good. Reducing stress: “Humour offers a cognitive shift in how you view your stressors; an emotional response; and a physical response that relaxes you when you laugh,” says Michael Kerr, author of the Humor Advantage: Why Some Businesses are Laughing all the Way to the Bank. Encouraging creativity: When you are relaxed and having fun, you are more able to think outside of the box and are less critical of others’, as well as your own, ideas. Creating authenticity: How many of you can fake a big belly laugh? It’s pretty hard to do authentically. When you find something truly humorous, you tend to take off your ‘corporate’ mask and show your true colours. This helps to build authentic relationships with your other team members. Building mutual trust: When you smile at someone, something in their brain is wired to smile back at you. (Try smiling at the next person you see to get a demonstration!) When members of your project team smile at each other from time to time, they are creating a symbiotic relationship where each party is releasing feel-good chemicals. This leads to team bonding and mutual trust. Increasing productivity: When do you feel more engaged in your work, when you are moving mechanically through the motions, afraid that your next step will be ridiculed? Or when you are working on a project that you find to be fun and exciting, with freedom to move and make small mistakes as you go knowing you will be supported by your project team? When your project team creates a jovial and collaborative atmosphere, team members’ egos will take a backseat, allowing everyone to focus on the task at hand with enthusiasm. Take some time to consider: am I taking myself too seriously? How can I better incorporate humour in my project team to create a better place to work and a more successful workplace? May the laughter be with you!